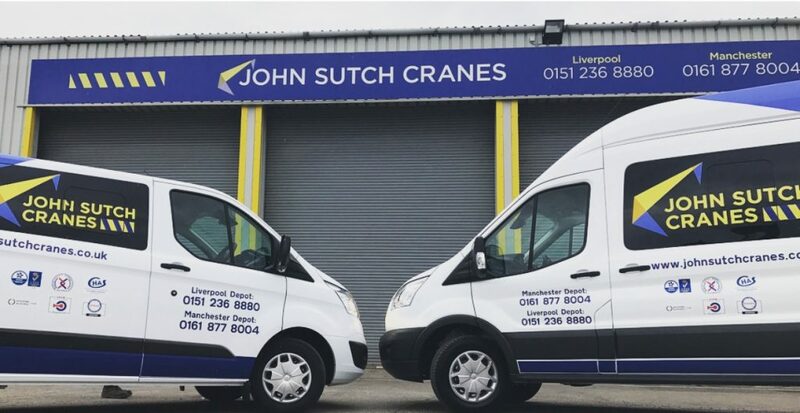 The continued rebrand of John Sutch Cranes is almost complete with a strong fleet of vans and wagons now emblazoned with the firms updated brand. The corporate rebrand has refined the existing logo, utilising the original striking colours and bold font, adding a pictorial representation of a crane. John Sutch has integrated the new identity across the firms marketing, plant and machinery, the rebranding of the vans and wagons forming the final stages of the programme. Andrea Lowrie, Director at John Sutch Cranes explained; “Our branding is incredibly important to us as is our history and heritage. Whilst we’ve retained the original feel of the logo, we have modernised and softened it, making it a truer representation of the business today. The final stages of the rebrand has been implemented alongside a renewal of the entire fleet, updating all vans and wagons across both Liverpool and Manchester depots.